Moving to a physical venue signals exciting times for a technology startup. You, the leader, think of the possibilities for greater collaboration and productivity once the team is all together. Chances are you’ve considered the open-office concept. With no need for walls and cubicles, it seems the ideal space for communication and ideas to flow with ease. However, in recent years, studies have echoed that the open floor concept might be a trap. The cons are starting to outweigh the pros. 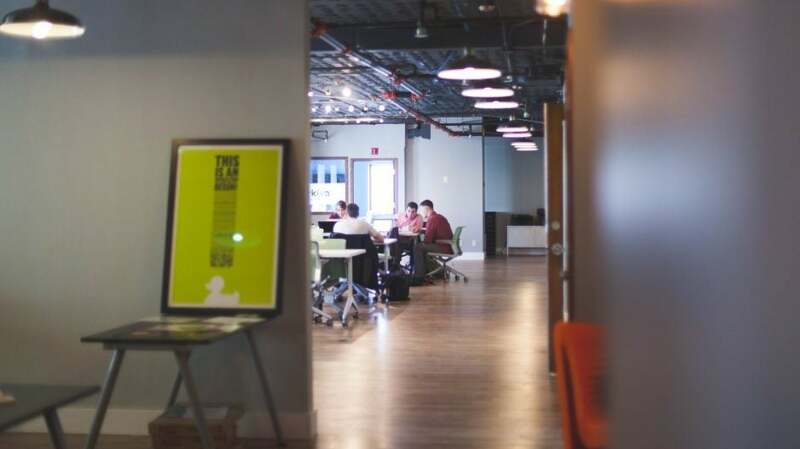 Consider the following scenarios when you decide whether to pursue this workspace design for your startup. University of Sydney professors surveyed workers from various office types. Nearly 50 percent of people in open offices and 60 percent of people in cubicles with low walls were dissatisfied with sound privacy. Only 16 percent of those in private offices had the same sentiment. Office commotion can impair cognitive performance, disrupt one’s ability to focus, recall things, and even do basic arithmetic. To cancel out the noise, some resort to wearing headphones, which can be a bandaid to the larger problem. Non-work chatter mostly pervades the open environment. With this expectation, you must imagine how hard a marketer or programmer should concentrate to combat distractions. Further, nobody automatically pitches an idea out in the open. The fruits of brainstorming are still better harvested in a quiet space and with closed doors. In a 2005 study, researchers examined the effects of things like flexible use of workspace on job productivity and team cohesion. They discovered when employees have a lack of control over adjusting elements like lighting and temperature affected workers’ psyche negatively. People made fewer ergonomic alterations in the open space, adding to their stress. If you’ve ever looked into hot-desking, or the use of a desk on a rotating system, these results should make you think twice. Aside from maintaining a sense of control, they can be at a disadvantage when it comes to protecting pertinent documents. Plus, it’s hard for senior members to answer important phone calls within earshot of all employees. There is a correlation between the number of people occupying an office space and the frequency of sickness absences, according to a Denmark study. Employees with completely open offices took an average of 62 percent more sick days than those in single offices. Two-person office workers took an average of 50 percent more. Another research said you are twice more likely to get sick working in an open office. Your productivity can lower by 15 percent. The figures are working against the open concept. The psychosocial effects are making the outlook bleak. As a startup leader the open-office design might be the right call as more Millennials are making up the work force and welcome the distractions, even though this can inevitably hurt their performance. Either way, it’s your duty to strike a balance between enclosure and exposure and consider the latest models that offer a range of spaces with clear boundaries. You might need to consider offices with closed rooms for focusing on individual work and meetings, and offer communal areas as well. Another thing to consider is that employees need not be confined to the four walls of the office. Offering a flexible schedule and mobility could help employees stay motivated and working at optimal levels. Vikas Agrawal is a start-up Investor & co-founder of the Infographic design agency Infobrandz that offers creative and premium visual content solutions to medium to large companies. Content created by Infobrandz are loved, shared & can be found all over the internet on high authority platforms like HuffingtonPost, Businessinsider, Forbes , Tech.co & EliteDaily.